If you live in the Chicago area, it will not come as a surprise to you when you find out that the Chicago area has five of the top 20 congested roads in the United States of America. When you add in some of the most dangerous intersections in Chicago, driving around the city seems even more dangerous. There are also an alarming number of shootings on roadways in and around Chicago. All these are contributing factors when you look at the dangers on the city of Chicago’s highways. I-90/94 Westbound has a stretch of road 13 miles long, starting at 35th Street and running to the Edens Junction, that is one of the most congested in the country. Going Eastbound, from Montrose Ave. to Ruble St., the congestion can be horrible as well. I-90 Eastbound starting at I-294 and continuing to the Kennedy at the Edens merge has been known to push commuters to the limit of their patience as well. Truck congestion plays a huge part in the overall congestion in these areas. Stony Island Avenue at South Chicago Avenue – Stony Island Avenue is a busy road that is six lanes wide. The intersection at South Chicago is the most dangerous intersection in Chicago. People running red lights at this complicated diagonal intersection contribute to over 60 accidents, on average, per year. Try to avoid this intersection, especially if you are unfamiliar with it. Western Avenue at Peterson Avenue–Congestion due to volume here is spread over too many lanes. The number of car dealerships, with people coming in and out of parking lots, add to the mix. People who are running red lights here are a problem as well. Close to 50 accidents a year are reported at this intersection. Kedzie Avenue at Belmont Avenue – This is just a hard intersection to maneuver. You’ve got one-way roads that run nearly diagonal on either side of the underpass leading to Kennedy Expressway. It’s not for the faint of heart, and requires total concentration to make it through this one safely. In December, 2016, there had been 47 shootings reported last year on Chicago’s expressways. This is a huge increase in the last five years. Most of these shootings have been attributable to local gang activity in Chicago. As of Saturday, July 22nd, 2017, 30 shootings have been reported on expressways so far this year, so we can assume that the overall number will have increased year over year since 2016, according to ABC 7 News in Chicago. If you are driving in the Chicago area, please use caution at these intersections and on these highways and expressways. Do what you can to control safety risks and avoid unsafe situations. Instead of driving through a dangerous intersection, can you take another route? Don’t drive while under the influence of drugs or alcohol. Don’t be distracted by cell phone use, eating, or drinking while driving. Stay safe, and get to your destination. Stephen D. Phillips is the managing partner at the Phillips Law Offices in Chicago. He earned his Juris Doctor from Loyola University in 1985 and his B.A. from the University of Iowa in 1981. He is an extensively published writer and sought-after lecturer on legal topics ranging from medical malpractice to tort reform. Mr. Phillips is also the recipient of a number of awards and honors from various legal and community groups. Recognized annually and on a lifetime basis, America’s Top 100 High Stakes Litigators celebrates the most qualified and accomplished professionals in the nation. International legal organization. Membership is by invitation only and is extended, after careful vetting, to only 500 attorneys around the world. The National Association of Distinguished Counsel invites less than one percent of the attorneys in the U.S. to join its ranks. Established in 1789, The United States Supreme Court is the highest federal court in our nation. Loyola University Chicago School of Law is the law school of Loyola University Chicago, established in 1909 in downtown Chicago. The Supreme Court of Illinois is the highest court of the state of Illinois, located in Springfield and established in 1841. AVVO, founded in 2006, rates 97 percent of the lawyers in the U.S. Stephen Phillips has the highest AVVO rating which is a 10.0. 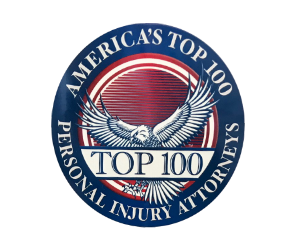 Recognized annually and on a lifetime basis, America’s Top 100, LLC celebrates the most qualified and accomplished professionals in the nation. Copyright © 2019 by Phillips Law Offices. All Rights Reserved.